When Ernest Withers was a press photographer in Memphis in the mid-1950s, he put a slogan on his business cards: PICTURES TELL THE STORY. Indeed they did. He was no effete aesthete; he was a working reporter, one whose job was to get there, get in close, get the powerful shot and (if all went well) get paid. 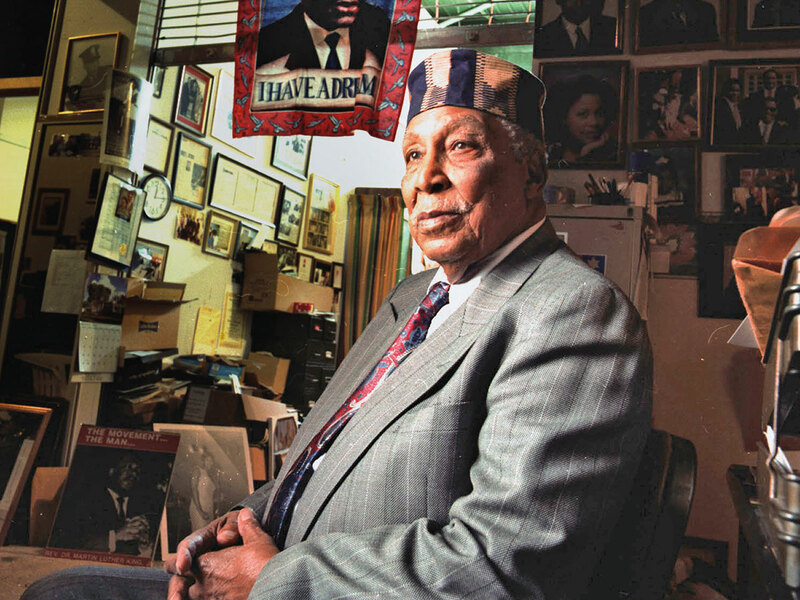 He was African-American, often publishing in The Chicago Defender and Jet magazine; drawn towards the biggest story around, he was soon covering the civil rights movement. And because he was good at his job, those pictures have vigour and punch. At the trial of Emmett Till’s murderers, he defied a judge’s no-cameras order and got off one quick, sharp frame as an accuser fingered one of the killers. He hung around a local blues club and photographed the rising star Elvis Presley as he soaked up the local musical culture he later reinterpreted for the rest of the world. He was with Martin Luther King Jr aboard one of the first integrated bus rides in Montgomery, Alabama, in 1956, and he was there when King lay in a funeral home in 1968. 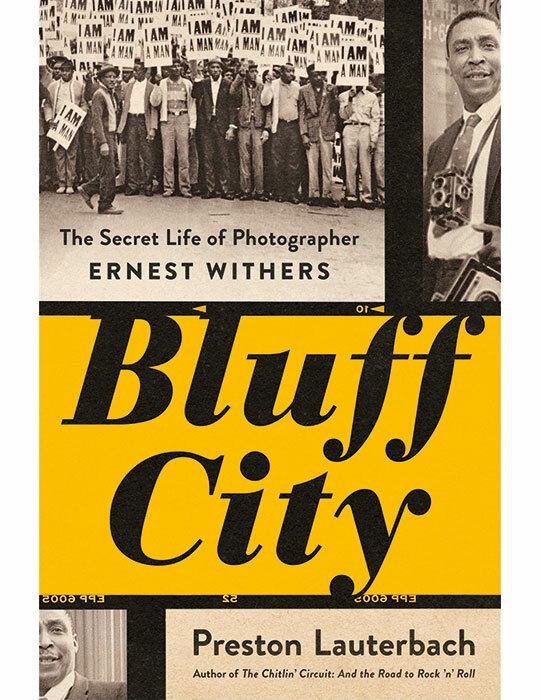 Withers wasn’t the visual poet laureate of the civil rights movement — that would probably be Gordon Parks — but he was absolutely one of its great documentarians, shooting every figure and faction that came through his town. He made more than a million pictures in his career. And he aged into a voluble and distinctive public character, a roguish charmer in a kufi, operating out of a packed storefront studio, tooling around Memphis in a plush old sedan. Which made it all the more astounding when, a few years after his death in 2007, the truth came out. Starting in the early 1960s, Withers had spent nearly two decades as a paid informant of the FBI, feeding its agents information about the activists he photographed. He not only informed; he took requests. At one anti-Vietnam War march, he was asked to photograph all of the 30-odd protesters, taking special care to catch all their faces, and he turned 80 8-by-10 prints over to his FBI contact. On occasion, he sold his work to a local paper, then gave copies to the bureau. His daughter Rosalind, the youngest of his nine children and the one who handles his estate, was blindsided when the news came out via a series of FOIA requests and legal fights undertaken by Marc Perrusquia, a reporter from The Commercial Appeal in Memphis Perrusquia wrote about Withers and the revelation of his intelligence work in his own book, A Spy in Canaan, which was published last year. It’s a smart journalist’s book, crisply marching through Withers’s FBI records and the paper’s battle to pry them out of the government’s grip. Bluff City, by Preston Lauterbach, aims instead for something less snappy and more lyrical. Its subtitle is The Secret Life of Photographer Ernest Withers, which suggests that it’s a biography, but it isn’t quite that, or at least not a comprehensive one. Big stretches of Withers’s life get a fairly cursory look, and Lauterbach basically calls it a day after King’s assassination in 1968, dispatching the photographer’s subsequent four decades in an introductory chapter and an afterword. Instead what Lauterbach, a former Memphis resident and the author of two other books set in the South, “Beale Street Dynasty” and “The Chitlin’ Circuit,” is going for is a loose, rangy history of the civil rights movement in Memphis, using Withers and his camera as the (literal) lens. He’s done the work, tracking the complex, intertwined dances of the radicals and the centrists, the local ministers and visiting heavyweights like King. Weirdly, though, his very thoroughness and deep interest in this time and place have the almost certainly unintended effect of diminishing Withers rather than keeping him front and centre. There are long stretches where, say, Stokely Carmichael appears, and we get 10 enthusiastic pages about his politics and SNCC and the dynamics between Carmichael and King, and then Withers pokes his head in to snap a few pictures and go meet his FBI contact. Some of those scenes are nicely wrought, but the secrets in this life are often other people’s rather than Withers’s own. A week later, Withers was not on the scene when King was shot, although he arrived shortly after. Those famous pictures of King’s associates, pointing towards the direction of the rifle shot? Withers didn’t take them, but the young South African photographer who did, Joseph Louw, was too rattled to develop them himself, and nearly botched the processing. Withers stepped into the darkroom alongside him and made sure it got done right. The central question a reader is likely to ask of this book (and of Perrusquia’s as well) is: Why did a man whose life and work were knitted into the civil rights movement feed information to J. Edgar Hoover? The FBI director’s explicit goals, after all, were to disrupt all the organising, to drain the movement’s influence, to humiliate and destroy King. Lauterbach has a few theories, and all are probably true to varying degrees. For one thing, Withers needed the money. He raised his big family on a freelance photographer’s pay, and put most of his kids through college. (Some civil rights activists from the era say that, since they were operating in the open, Withers was not betraying them but simply conning the FBI for some cash.) For another, he disliked the anti-American language on the fringier end of the left, especially when it turned communistic. He was preternaturally inclined towards a law-and-order point of view. In fact, he’d been a cop before he was a photographer, and a crooked one at that. In the early 1950s, he left the Memphis Police Department involuntarily, after he’d been caught selling illegal liquor under the table. Twenty-four years later, he was appointed to the state Alcoholic Beverage Control Board — and then was stung again, this time by the FBI itself, as he worked a scheme to get a prisoner out of jail in exchange for a cash payment to the governor. Bluff City may not get to Withers’s inner life, but it is not without pleasure. Lauterbach is justifiably sympathetic to his subject, noting that one has to be generous about judging the things a black man in the Jim Crow South did to get by. (Withers was beaten during at least one march he covered.) And Lauterbach likes the other central character in the book even better, that being Memphis itself. In his first chapter, he describes a day in 2005 when he dropped by Withers’s studio for a tour and got a lift home from the photographer in that old sedan. “He drove — in a manner many people familiar with Memphis will recognise — slowly, drifting right.” That kind of describes his book, too. Christopher Bonanos is the author of Flash: The Making of Weegee the Famous and the city editor of New York magazine.